Absolutely unbelievable. We’ll have much more on Providence coming back from 17 down to beat #3 Xavier in the Big East Tournament Semifinals, but for now enjoy the Twitter reaction. THE FRIARS ARE HEADED TO THE @BIGEAST CHAMPIONSHIP GAME! Kyron Cartwright has made so many big baskets in his career. Big time two nights in a row. But the charge he took down the end of this game as big a basketball play a PG can make with the game on the line. Cartwright one of most underrated players in college basketball. Go PC! 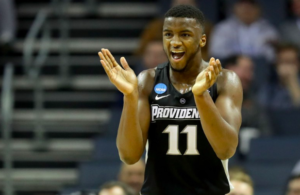 I haven't seen a coming out party for a Providence freshman big in the Big East Tournament like Nate Watson's since Austin Croshere. Great comeback @BIGEAST @PCFriarsmbb over highly rated @XavierMBB The question i ask is will this cause xavier the number one seed? Thank you #BIGEASThoops fans for packing @TheGarden and making the #BEtourney the BEST tournament in college hoops! The Friars play a brand of ball that is very definitely not for the weak of heart; wow!! Congratulations to a pack of very courageous, very well coached ballers. 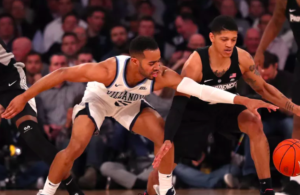 Seeing the Villanova players watching on the monitor, they seemed to take some satisfaction in the prospect of meeting up with the Friars tomorrow night; God only knows why that would be. 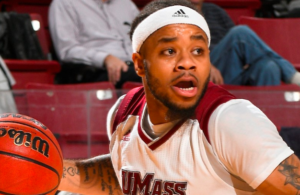 Kyron is but a microcosm of the team on the whole right now – in the zone. Game in and game out, Diallo just shows up and scores, and is it me, or was Rodney Bullock coming down with every other defensive rebound? One thing’s for damn sure, though, this Nate Watson dude won’t be flying under the radar anymore.